Explanation: What was that bright "star" near the Moon last week? Mars of course, as the Red Planet wandered near the waning gibbous Moon early last Thursday morning, passing behind the lunar orb when viewed from some locations in South and Central America, the Caribbean, and Florida. 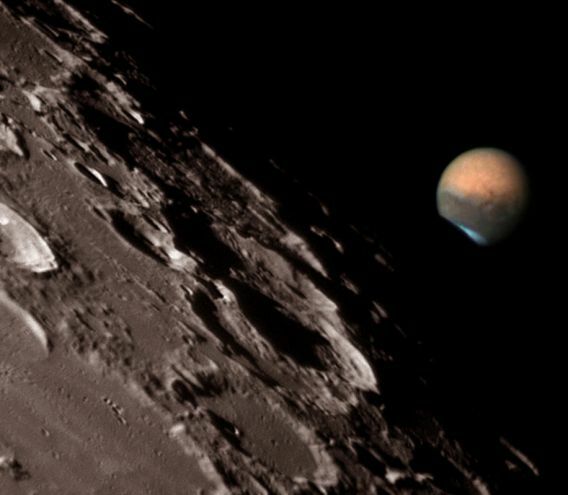 The Clay Center Observatory expedition to Bonita Springs, Florida produced this evocative picture of Mars grazing the Moon's dark edge by digitally stacking and processing a series of telescopic images of the event. 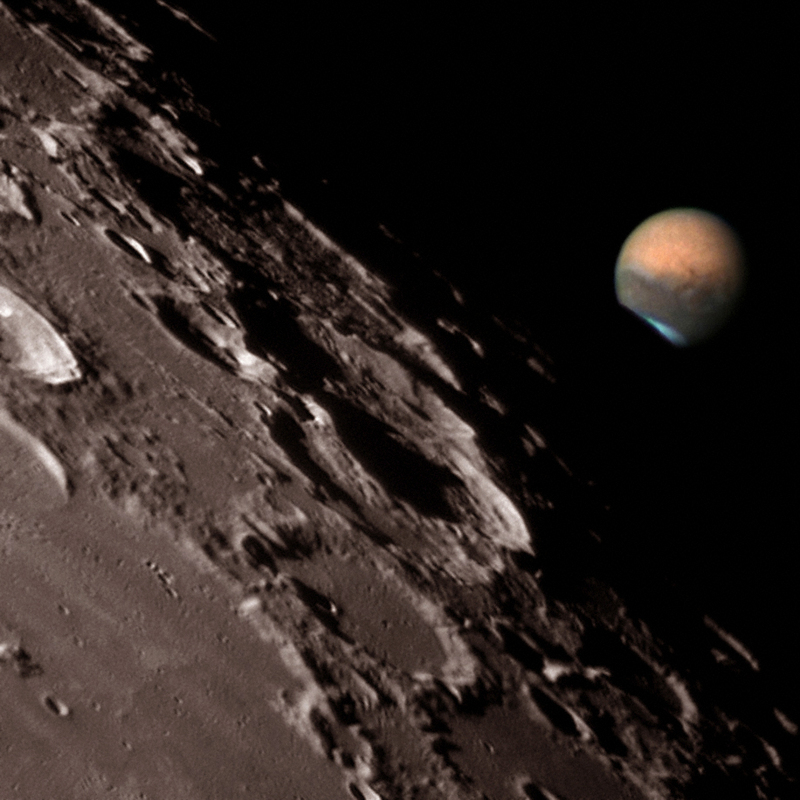 With the cratered Moon in the foreground, the bright planet Mars seems alarmingly close, its global scale features and white south polar cap easily visible. Already impressive, the apparent size of the martian disk will continue to grow in the coming weeks, until, on August 27, Mars reaches its closest approach to planet Earth in over 50,000 years.